Clair M. Poulson was born and raised in Duchesne, Utah. His father was a rancher and farmer, his mother a librarian. Clair has always been an avid reader, having found his love for books as a very young boy. He has served for forty years in the criminal justice system. Twenty years were spent in law enforcement, ending his police career with eight years as the Duchesne County Sheriff. For the past twenty years Clair has worked as a justice court judge for Duchesne County. Clair is also a veteran of the US Army where he was a military policeman. 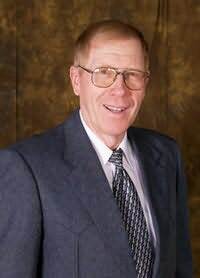 He has served on various boards and councils during his professional career, including the Justice Court Board of Judges, Utah Commission on Criminal and Juvenile Justice, Utah Judicial Council, Utah Peace Officer Standards and Training Council, an FBI advisory board and others. In addition to his criminal justice work, Clair has farmed and ranched all of his life. He has raised many kinds of animals, but his greatest interest is horses.